Near Bercy village where we can eat and buy groceries. It’s also a 5 min walk from the station. Kitchen was fully equipped and the property has their own laundrymat which I found really helpful. The room is spacious for two people. Spacious enough where we can open our luggages at the same time. The building is new and all the facilities are new. The location was perfect you are surrounded by everything! Location next to Bercy Village and the Cour D’Emilion metro station was very convenient. Facilities provided to cook your own meals as desired. Very clean room filled with all comforts. You can cook your own eggs for breakfast adn match it with sides, cakes, coissant, pancakes. 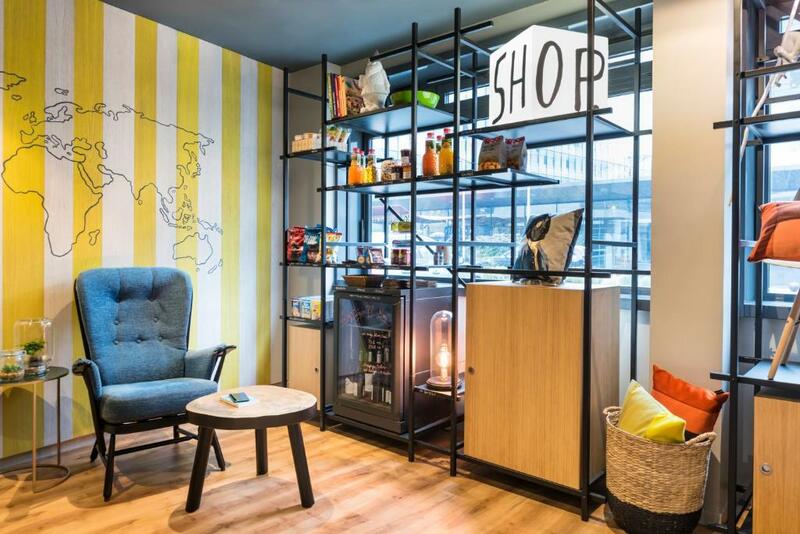 It's located near metro station and Bercy Village, small shopping village mall. I loved where we stayed on the 8th floor the location was great! Close to metro station. Bercy village is only 2 minutes away, with numerous restaurants, bars and shops. The staffs are very warm, welcoming and helpful. The room is quite spacious. Everything was provided. Location is good being close to the metro and the facilities of Bercy village. Staff were very helpful when the couple we were travelling with needed assistance with lost baggage. Great location. Bercy Village is right there with tons of restaurants and shopping. Metro also right there. breakfast was pretty good but continually the same. It was quiet. The toilet was separate from the shower which was convenient. Nice to have a fridge. You could buy snacks and alcohol downstairs. Air conditioning was good. You could turn on towel rack to help dry hand washables. Lock in a great price for Aparthotel Adagio Paris Bercy Village – rated 8 by recent guests! 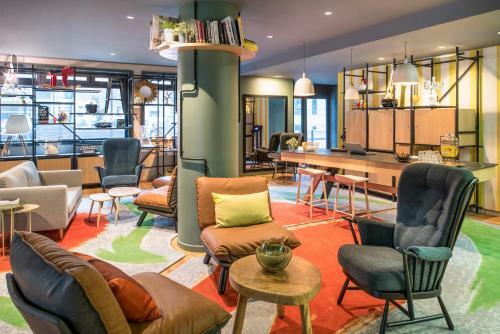 One of our top picks in Paris.Aparthotel Adagio Paris Bercy Village is located in the lively 12th district of Paris, 1,300 feet from Cour Saint-Emilion Metro Station. 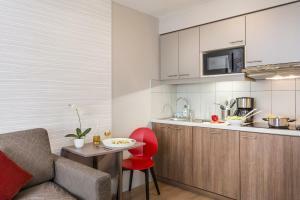 It offers air-conditioned studios and apartments from 2 to 4 people, 24-hour reception with a ticketing service and free WiFi access in all areas. 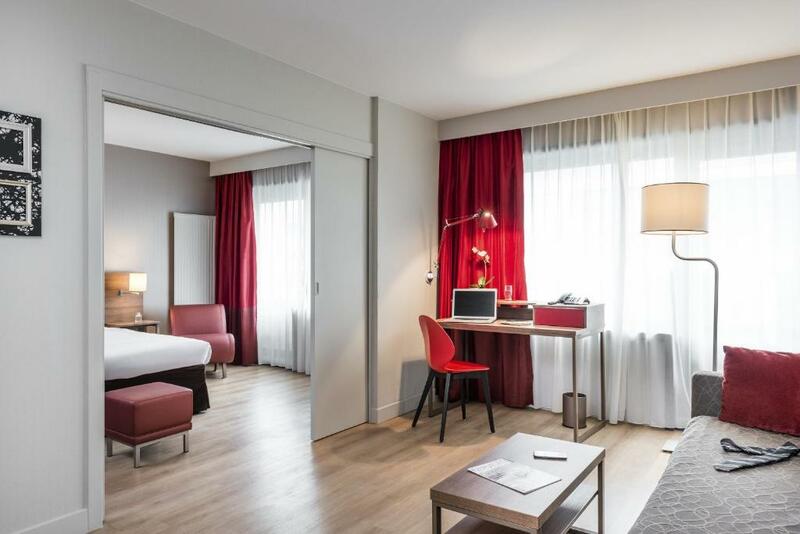 This Aparthotel Adagio is 1,000 feet from Parc de Bercy and 3.1 mi from Chateau Vincennes. Accorhotels Arena, the city’s indoor sports arena, can be reached on foot in 15 minutes. The Adagio is also 15-minutes’ walk to the Gare de Lyon. 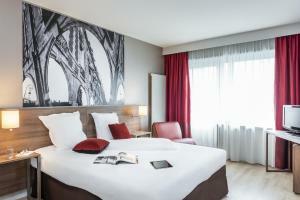 When would you like to stay at Aparthotel Adagio Paris Bercy Village? Please note that the double bed in this studio is a fold-down bed in the living area. 2 single beds are available upon request. 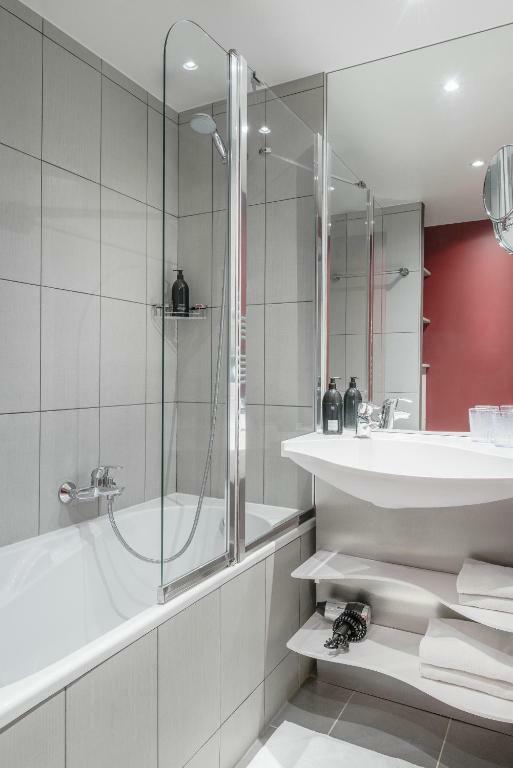 This studio features a microwave, kitchenware and dishwasher. Closed to ‘Bercy Village’, a paved courtyard area with warehouses, quiet terraces, shops, restaurants, leisure activities and entertainment. Well located closed to the main train station "Austerlitz" and "Gare de Lyon" and subway station L5 L10 L14. House Rules Aparthotel Adagio Paris Bercy Village takes special requests – add in the next step! Other Aparthotel Adagio Paris Bercy Village accepts these cards and reserves the right to temporarily hold an amount prior to arrival. 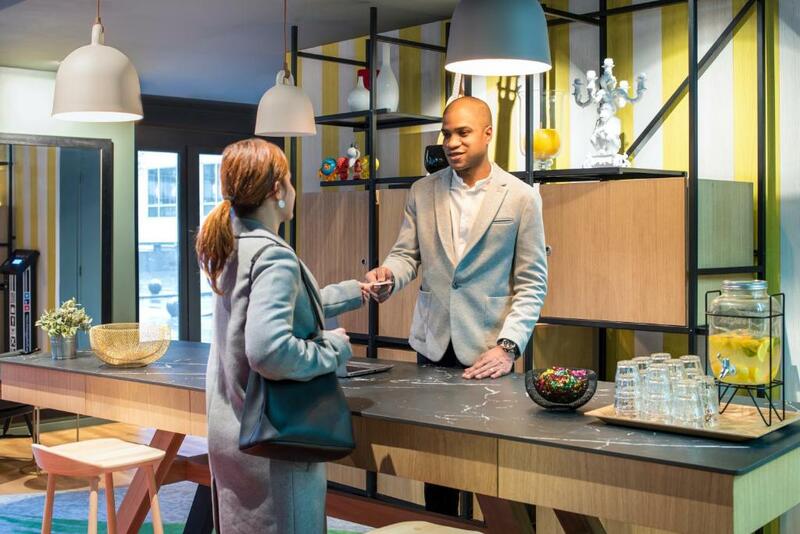 Aparthotel Adagio Paris Bercy Village accepts these cards and reserves the right to temporarily hold an amount prior to arrival. Staffs are very kind. It’s close to metro and Bercy village where you can enjoy shopping and meals. Staff is not very helpful Mohammad was good but not others. Wifi was terrible very poor wifi. The stuff is cold and not very pleasant. Everything was clean and in great condition. Excellent location with many restaurants and bars in the area and right beside the metro station. Pictures shown on booking.com were not a true representative of the room. It was very small and cramped, several plug sockets did not work, including the TV. They need to provide shampoos and conditioners, body soap not one type of liquid soap for hair and body wash, the liquid soaps were reused and not replaced. This world that we live in now a days they replace the liquid soap with something arsenic just to be despite full everything should be new not reused or opened something to think about for the future. I have no suggestions except to keep up the excellent service. Well run operation. I have nothing but praise for desk personnel who were pleasant and very helpful. Accommodations were perfect for our needs.